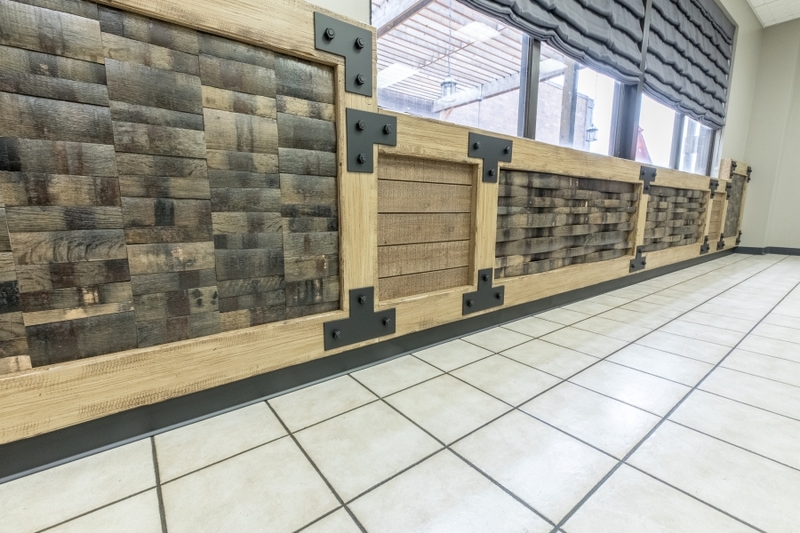 This 26 1/2 foot long project was installed in the breakroom of a global spirits manufacturer. 75 year old retired barrels were broken down and the pieces were pressure washed to prepare them for finishing. Two coats of GF Clear Poly in Satin covered the backs of the barrel staves and three coats on the front brought 75 years’ worth of life and history back out of the tired old pieces. The full pieces were basket weaved and the small segments of staves were cobblestone pieced like a puzzle on to panels. Other finishing of the project included 2 coats of GF Millstone Milk Paint on the faux timbers followed by a coat of GF Clear Poly before glazing with GF Glaze Effects in Van Dyke Brown. Another coat of GF Clear Poly in Satin locked in the glaze and gave the timbers their final sheen. GF Lamp Black Milk Paint was applied to the faux steel plates. All coats got a light scuffing in between each other with the exception of the glaze. 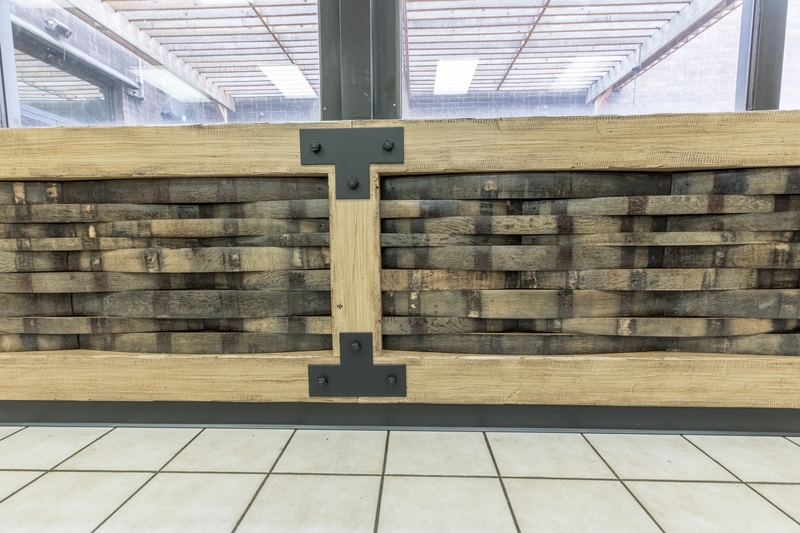 I enjoyed the challenge of mixing new lumber with very old lumber and having to use a distressing and finishing schedule to make them complement each other.